In the recent global tech news , 10 best innovative countries were mention but that doesn't mean they have the larger technology share. U.S is among the country listed having great contributions in the technological world, this is not funny when the news were released because inventors always meet for world meeting which allow them bring idea and new inventions in place. In one of our blog post released some times back revealing the released date of the up coming baby iPhone 8 and 8 plus coming up with powerful features like storming wind to overshadow other Apple previous versions. 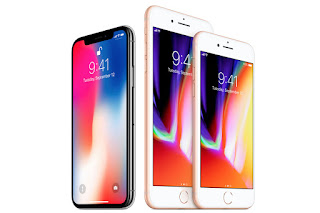 For example , the latest iPhone X was created by a U.S company but it doesn't mean that America is the most innovative nation, the news reaching from usnews stating that the pricey iPhone X will eb on sales starting from November 3 in some part of U.S, so by then you can have the best you desire to have with perfect experience. At a steep $999, the iPhone X is sleek and advanced, and might just make you appear the most technologically savvy of your friends. But while Apple, the creator of the iPhone, is headquartered in the U.S., it doesn't necessarily mean that America appears the most innovative.According to world reporter making it clear that Japan takes the No. 1 taking lead ahead of other countries for 2017 in the ranking squad, in the survey made, a characterization based on a survey of more than 21,000 global citizens. Respondents evaluated 80 countries to determine the "most innovative." As Japan take the lead we have other countries listed below in their innovative Rank and overall best country Rank. Here are the 10 Most Innovative Countries and their ranking order.